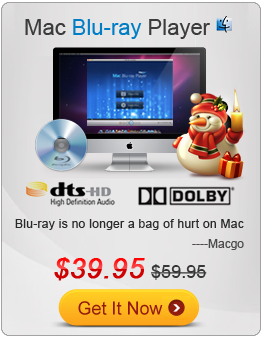 MKV to WMV Converter- the best and fast MKV Converter, convert any mkv hd video to wmv, avi, mp4, 3gp,flv,etc. How to Convert MKV to WMV ? 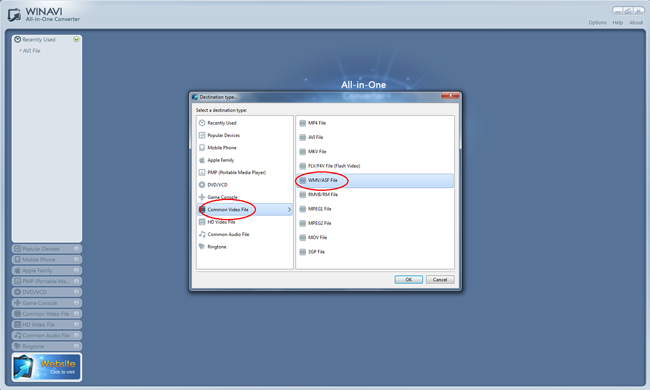 Step1: Download WinAVI All In One Converter for free and install, then you can see the main interface. Step2: You have two ways to start this conversion. 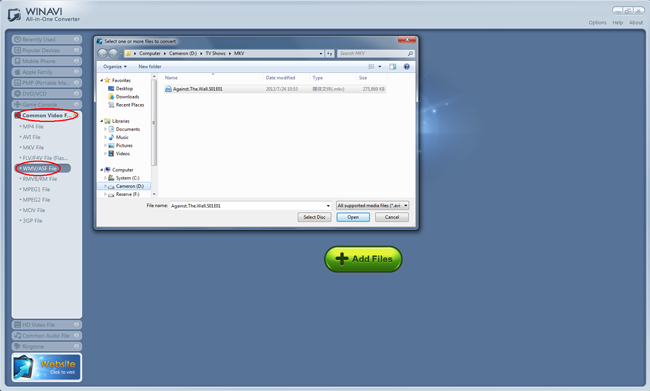 You can choose the format first and then import the MKV file. Or you can choose the format after adding the file. Step 3:Then you can do some customized setting, the output folder or some other advanced settings. Once you start converting, you will find out that this program offers you more choices, CPU occupancy, video preview, remaining time, etc. And you may abort this conversion in any time. Step 4: Actually there is no Step 4. 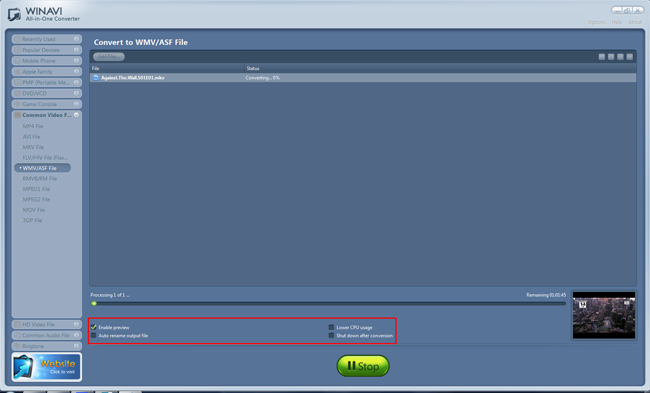 Just a little while, this conversion will be succeeded and the WMV file will be in the output folder, waiting.